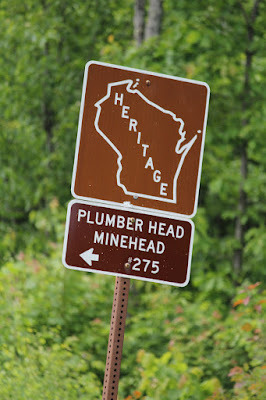 Along this trail are the “ruins” of the buildings that made up the Plummer Mine Location. Each structure had a special function. Steam power, created at the boiler House, turned the Hoisting Engine. In the early 1920’s, electricity from the Electric Transformer House, replaced steam power. 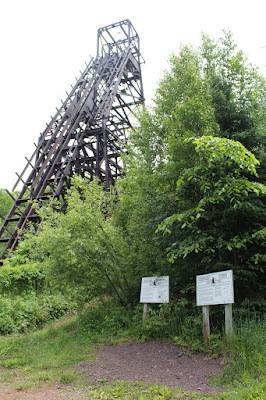 Cables ran overhead from Engine House to the big sheave wheels at the top of the Plummer Headframe. They were connected to elevator-like “cars” that raised and lowered miners and ore from the mine. Since the Plummer Mine was 2,367 feet deep, a lot of cable was needed. 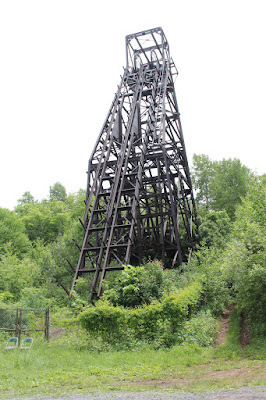 Ore cars hoisted up from the mine stopped at the “tipple”, half way up the Headframe. 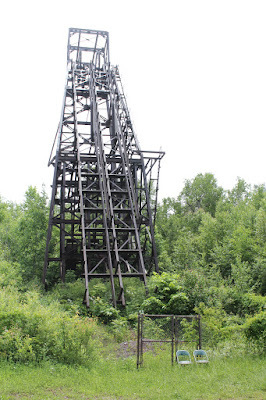 Ore could be tipped directly from the Headframe off the tipple into railroad cars parked below and delivered to waiting oreboats at the port of Ashland. Or it could be loaded into smaller ore carts and pushed down the Plummer’s 36 foot wooden trestle and dumped in the ore stockpile for later shipment. Equipment breakdowns could be repaired on site at either the blacksmith, carpenter, or machine shops. Oil and coke to fuel the boilers and lubricate machinery were stored in separate buildings for safety. The “Dry” or “Dryhouse” offered miners a place to shed their dirty work clothes, bathe, and change into clean dry clothes at the end of their long underground shift. The marker is located at Plummer Headframe Interpretative Park on northbound Wisconsin Highway 77 between Valley Road (to the south) and Plummer Road (to the north), Montreal, Wisconsin 54550. 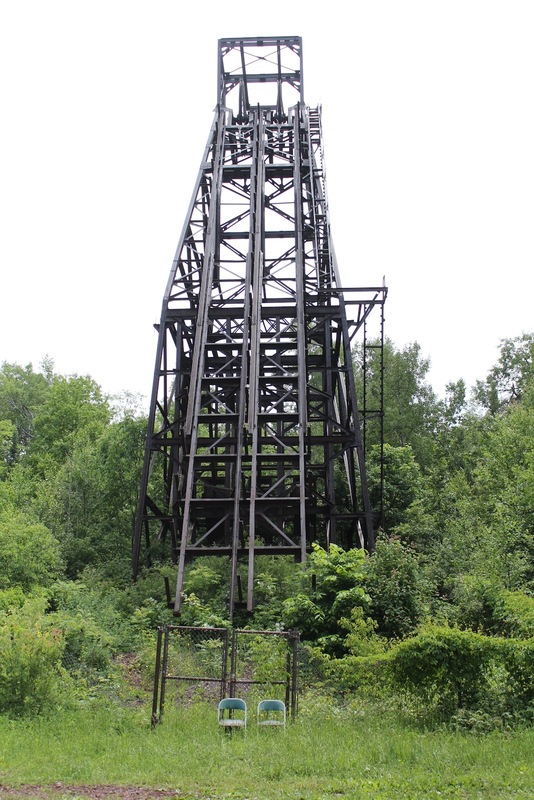 The Plummer Mine Headframe is the last standing headframe in Wisconsin, and is listed on the National Register of Historic Places. Wisconsin Travel Information Center: State historical marker, displays and photos interpret the history of iron mining on the Penokee Range. A unique outdoor sun dial depicts the dawning and decline of iron mining mining. Cores of solid rock taken from a mine shaft surround the sun dial. State and area travel information. Rest area and picnic sites. Immediately south of the US 2 and Hwy. 51 interchange in Hurley. Looking west from the marker location, at the road leading to the headmine. 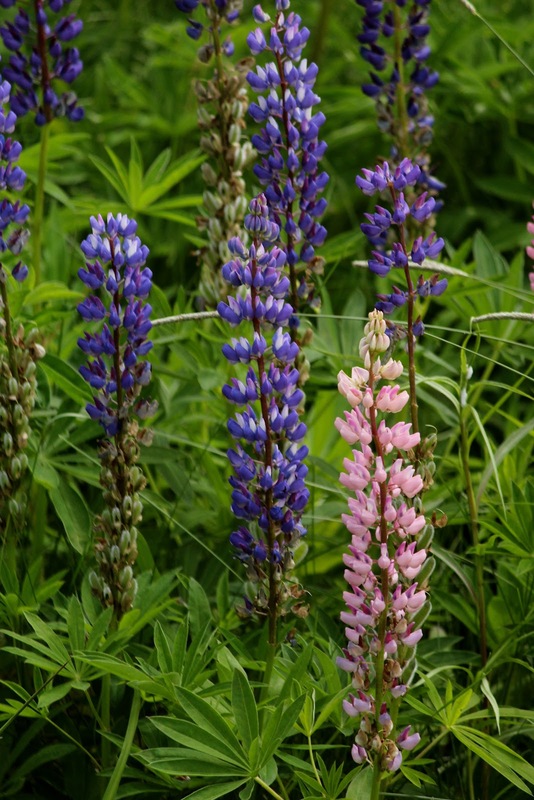 Lovely nearby lupines . . . Enter the park at Plummer Mine Road (which does not show up on Google Maps). at the entrance to the road leading to the minehead.